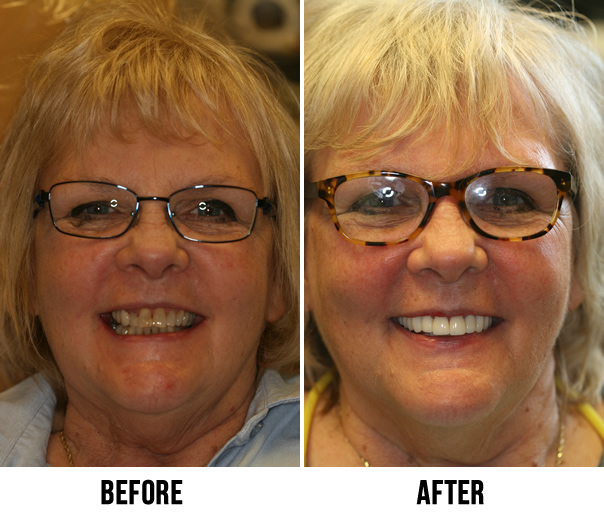 Jane came to us wanting a better, and brighter smile. Concerned dentures were her only option, we were able to provide her with a different avenue of treatment that was 100% non-removable. Her smile lights up the room, and her newly found confidence shows through wherever she goes. Don't believe us, listen for yourself! We love when our patients are so enthusiastic about the treatment they have received. Jerre became a patient, even outside of the limitations of her insurance, because she was adamant in seeking a caring dental environment. We care about our patients and the care they receive. Thank you for being a part of our family, Jerre. Many of our patients have benefited from small diameter implants. Let Sandy tell you about her experience in the video above.